It’s not easy to pursue SEO for e-commerce sites based simply on the context of the content. Designing websites that sell is a whole different challenge from designing brick and mortar stores. Various examples of webshops are floating online today, others more successful than most, simply due to SEO and content strategy – something traditional stores couldn’t capitalize on. It’s a whole new playing field, and lots of players are still learning. Can’t seem to get ahead of you competition in the SEO rat race? It could be because of your Web Marketing Strategy. Here are the top mistakes E-commerce retailers tend to make, and you can easily avoid on your quest to dominate the search engine! And for more info about SEO, check out this tumbler page and WordPress. Maybe you’re confident that your product images are enough to pull in customers, so you don’t have any description attached to your product listing. Skipping the product descriptions will hurt your ranking. And there’s a practical reason as well to include product descriptions, they help you avoid disappointed and angry customers. That way there are no misunderstandings. When writing product descriptions, it helps when you think about what makes your product different. Through that you will be creating unique content for your page. Be specific and answer all the questions that any self respecting salesperson should know. Remember to keep it at a digestible word count – they are shopping and not looking for bathroom reading, after all! Copying and pasting descriptions from your manufacturer’s manual or product page is a big no-no, for several reasons. One, it’s very likely that your duplicate content will be blocked by the search engine. Why list the same content from a different website? Two, it’s equally likely that their product description is too technical for a regular customer to bother and digest. They would not be written in the sales pitch manner your own product page should. The key is to always remember creating new content. Search engines like Google grade duplicate content websites a big, fat F and never let it rise in the search rankings. An E-commerce site with a robust inventory of different items might have a hard time, so weigh you options of using a NO INDEX meta tag to limit page disqualification, or just work hard towards a content strategy that will take time and resources, but will improve your SEO rankings tremendously. A perfect product is the ideal, and should always be aspired to. But, you cannot please everybody and everyone is bound to have their own opinion. That is why people scroll to product reviews when they are online-shopping. They want to know what did a person think about the product in real, every day life? A lack of product reviews feels fishy, and curious visitors might be led to believe you could be hiding something. Reviews affirm that the product exists indeed, and other people have had experience with it. Not only are reviewers populating your site with their content, your website will be “alive” from the search engines’ point of view, too. Customers are likely to listen to fellow customers. Foster honesty from your customers and even gain feedback from these reviews. If you were actually to search for your own products online, would you be able to find them on the first page? It is possible you are not thinking like a customer when you optimize for certain keywords, and thus lose out on ranking points because your focus was amiss. Be specific with your keywords, but know where your keywords belong. For example, there are things you should put in your title tags and H1 tags: unit model numbers and brand name are very specific and are likely to be the search keywords. All content should be text on the actual page and not on images and iframes for it to count. To maximize, utilize the image alt tag for your description. Get more SEO tips on Weebly and Medium. Title tags are the most important headliners of your product pages – so you should make sure to write solid title tags that are as unique as possible. However, your product lines are likely to share similarities and thus, similar content. Put your focus on making key phrases that are unique. These days, people who are serious customers search for more specific terms, likely to be in a string. The structure of this string they use in their search could be helpful to find out, so you can optimize your product pages accordingly! Remember to use consistent labeling for your products, for a smooth, expected flow for all your listings. Citing the brand name, model or number, and item type in that order, is a neat way to present the main identity of the product. Cataloguing your store in this matter can result in an easy and rewarding user experience your customers will rave about. Is your URL a mess of letters and numbers? If so, you have found another space to utilize for SEO. Speaking URLs, or URLs that lay out the main content of the page, is very helpful not only for rankings, but also for your customers. URLs can say a lot about the web pages it leads to, sort of how you sometimes get tiny inklings about a person according to where he or she lives. A jumble of numbers and letters in the URL feels like spam and computer-generated nonsense. 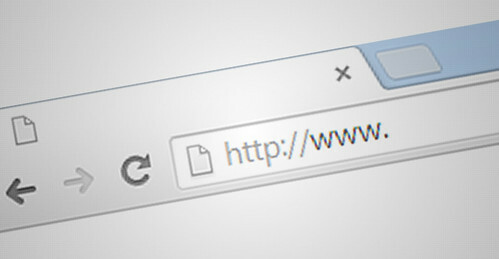 Opportunities for other websites to take up your URL keywords and repost them are possible. Your link can easily be exposed to a different market. Using every part of your website can only improve your SEO standing, if even a little. Websites, especially E-commerce sites, will have a difficult time trimming down on duplications. Lots of information is likely to be the same due to the nature of product lines. Even if you don’t have the time or budget to create unique content for all your products, try to get these pages which are composed of duplicate content off the search engine index and use robots.txt to close off pages with the offending but necessary content. Canonical URLs can be used to manipulate what Google detects and returns with regards to your E-commerce website. Thoroughly flag with no-follow attributes on the offending links. Set your E-commerce site up for success with a tight strategy and make sure to check the tips above. However, the main guidance any webmaster needs to have is the feedback of his or her audience. Always have the human user experience in mind when you design your website. The more you design for your audience, the more your audience will appreciate your website, and all the more will Google show your website some love on the search results page!